From the Great Smoky mountains to the Outer Bank coast, North Carolina bikers enjoy the open air and thrill of riding a motorcycle. However, motorcyclists are extremely vulnerable road users. Always look twice for motorcyclists. Want to learn how to ride like a pro? BikeSafe NC offers free Rider Skills Days across the state. The training including skill assessment, classroom-based information and on-road ride outs. North Carolina law requires all operators and passengers of motorcycles and mopeds to wear a DOT certified helmet. In 2011, an estimated 190 – 226 traumatic brain injury hospitalizations were prevented because of North Carolina’s universal helmet law (Naumann, Marshall, Proescholdbell, Austin, and Crebbage, 2015). Non-slip durable gloves help to grip your controls and keep air out of your sleeves. Firmly padded gloves can help protect your hands if you are involved in a crash. Wear a padded or reinforced jacket to provide some protection from abrasion in the event of a spill or crash. Always wear fitted long sleeves and long pants to keep from getting anything snagged on your motorcycle. Wear something brightly colored and/or reflective on your upper body. Tennis shoes, sandals, or cowboy boots don’t cut it. Choose a motorcycle boot with a stiff rubber sole, ankle coverage, and tough material to protect your from flying debris or injury during a crash. Avoid dangling laces. Never ride under the influence of drugs or alcohol. In 2012, 30% of motorcyclists killed on North Carolina roads were riding with a BAC over the legal limit (NHTSA). 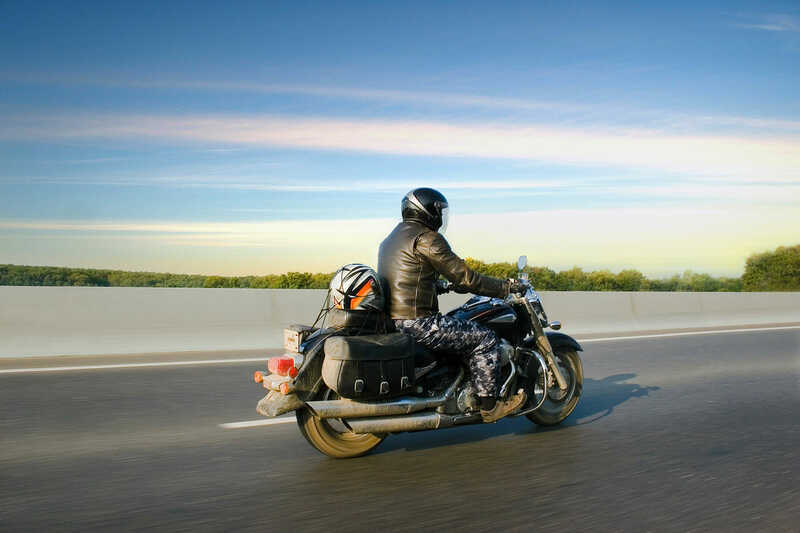 In 2013, 34% of all motorcyclists killed in the United States were speeding (NHTSA). Naumann, R. B., Marshall, S. W., Proescholdbell, S. K., Austin, A., & Creppage, K. (2015). Impact of north carolina’s motorcycle helmet law on hospital admissions and charges for care of traumatic brain injuries. North Carolina Medical Journal, 76(2), 70.